HE HAS been a strategist and an executioner at OVL and his contribution to make OVL India's most internationalised company can't be belittled. 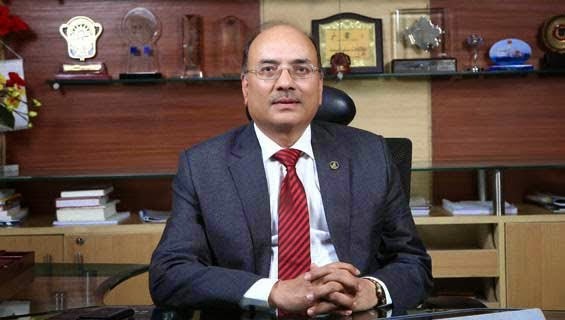 Meet Narendra K Verma, the new MD of OVL. A man of passion and perfection, he loves challenges. you should know about him. 1.A brilliant student throughout his career, Verma has an M.Tech degree in Petroleum Exploration from Indian School of Mines, Dhanbad in 1986. Also holds a Masters in Business Administration in Finance apart from an M.Sc degree in Applied Geology from Lucknow University. 2.55-year-old Verma will lead India's most internationalised company as its MD where he has already played a key role in executing acquisitions overseas before August 26, when he was named to succeed Dinesh K Sarraf. Sarraf was elevated as chairman and managing director of ONGC on March 1. At OVL, Verma was responsible for the growth strategy and business development at OVL with several high value acquisitions in last one year. 3.Verma has a long illustrious career spanning more than three decades with the oil major. 5.Joined ONGC in 1980 and Verma has been associated since extensively with exploration and development related activities in a number of Indian and foreign basins. 6.An exploration geologist, Verma has conceptualized exploration projects in a wide variety of basins including deep waters resulting in reserve accretion and evaluation of hydrocarbon potential. 7.Presently, he is also the Chairman of OTBL a joint venture company of ONGC and TERI which is in the business of bio-remediation. Recently elected as Vice Chair & Member of Expert Group on Research Classification in United Nations Framework Classification for Fossil Energy and Mineral Reserves and Resources 2009 (UNFC-2009). 8.An accomplished geologist and manager, he also dabbles with his pen and has published more than 20 technical papers and over 40 technical reports. 9.Verma, who will retire in January 2019, will also be eligible for the job of ONGC chairman and managing director upon Sarraf's retirement in 2017. 10.Public Enterprises Selection Board (PESB) chose Verma after interviewing seven candidates on May 21.